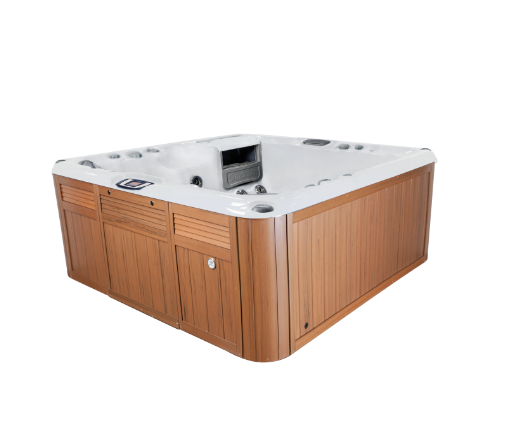 With room for up to five adults, the Bristol™ spa features a lounge seat, a bench seat, and a variety of massage combinations purposefully placed in highly-sculpted seats. From high or low impact massage combinations to a buddy seat for two, this 780™ Series model blends new technology with good old-fashioned know-how. resulting in clean, fresh water. Filter, SlipStream™ weir, Dynamic Flow™ Circulation Pump and CLEARRAY® system. is integrated into the spa interior and behind the AquaSheer™ waterfall. cabinetry with tool-free EZ Access Door makes maintenance a breeze. Controls -Efficient control panel with illumination simplifies spa functions day or night. Come in and see us in Sandy, Utah. Just a few miles from Down Town Salt Lake City, for more info on the new Bristol hot tub. We have some exciting deals available on Floor Models, Demo Models and Pre-Order Specials on all NEW Models.